Step inside Sanju and settle down under our coloured lanterns. You’ll be greeted with funky tunes, the smell of ramen and a friendly smile. We create ramen that tastes good, looks good, and makes you feel good. What else could you wish for? Just come in and grab a drink at the bar. Your table will be ready in just a bit. If you are a group of at least 8 people, please contact us about the possibilities. We really love ramen. Our mission is to make everyone else fall in love with ramen too. At Sanju Ramen we make everything ourselves. We get up in the early morning to make stocks and chashu. The tares we make take days to get that unique sanju flavour. 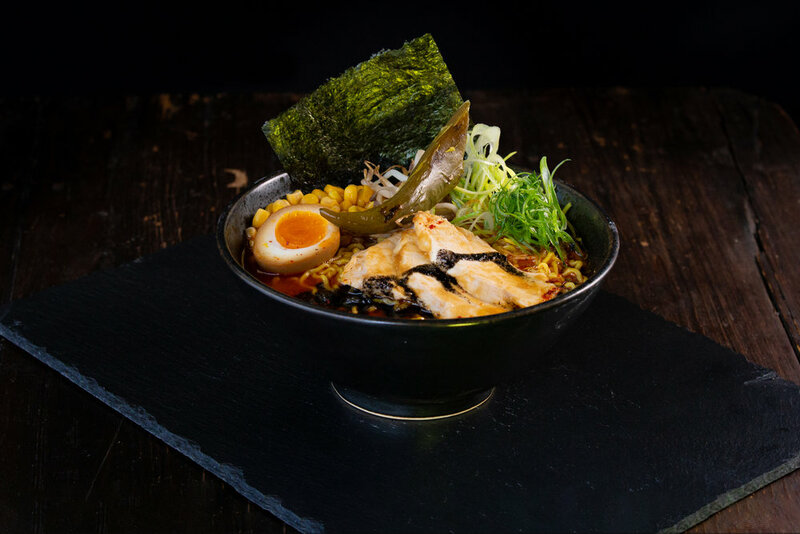 To create our ramen we are constantly looking for high quality ingredients that are sourced as locally as possible. For everything else we get the finest products we can get from homeland Japan. Many Japanese foods have rules about what can and can’t be done. Ramen has no such rules. It’s only limited by the creativity of the chef, and we got plenty of that. We make ramen that is unique and different. By combining traditional Japanese techniques with new ideas we form our own ramen. This is what makes our ramen Sanju. Sanju’s team consists of various ramen enthusiasts as well as knowledgable Japanese chefs. Our chefs Masahiro and Hiroto are living here in the Netherlands after gaining 20 years of cooking experience in Japan. Every single one of us has a passion for the products we serve. We love ramen so much, we could eat it every day of the week (maybe we do already!). Click the video link below to see us in action. If that’s not enough you can find us on Voorstraat 29!